Welcome to Film Inspector! We inspect films with a cat's keen eye to save you the time and trouble of having to sift through the clunkers to find the catnip amongst the sour milk. On this site, you will find film reviews, celebrity profiles, articles about historical topics and much, much more. There also are pages on a wide variety of additional topics, some of which probably only I would be crazy enough to create, but they all get visits so somebody else must be crazy, too. Also, check out the crazy cat videos to the right! Film Inspector is all about cool cats. Below are links to some of the different pages on Film Inspector. Just click on the banners or the links in the text to get whisked there. Coloring Pages has all sorts of different coloring pages for young and old alike. Animated Film Reviews is your source for reviews and news about animated films of the past, present, and future. There are numerous reviews of classic animated films, such as "Cinderella," "Sleeping Beauty" and "The Little Mermaid," as well as recent films such as "Puss in Boots," "Monsters University" and "Planes." The reviews include pictures, trailers and a discussion of the film's context within the growing universe of animated films. Disney Movie Princesses covers all the Disney animated film princesses, from Snow White of "Snow White and the Seven Dwarfs" to Merida of "Brave." Included are printable coloring pages, printable paper dolls, video clips, reviews of the Disney princess movies, princess events and news about attractions at Walt Disney World that feature the princesses. Movie Lovers Reviews is a collection of reviews of live-action films. There are reviews of classics, such as "The Third Man," "Unforgiven" and "The Godfather," as well as recent films such as "Insidious: Chapter 2," "Prisoners" and "Sinister." There also is news about important upcoming releases, along with official trailers and the like. 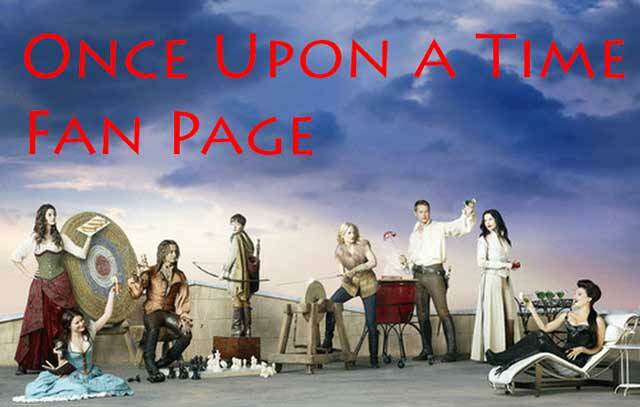 "Once Upon a Time" Fan Site is devoted to news and promo clips about the ABC television series "Once Upon a Time." Included are pictures of the stars Lana Parrilla, Jennifer Morrison, Ginnifer Goodwin, Josh Dallas, Robert Carlyle, and others, as well as scenes from the show and behind-the-scenes shots. James Bond Review is a look at the people, characters, and continuity of the James Bond film series. Along with profiles of stars such as Sean Connery, Roger Moore, and Daniel Craig, there are film reviews, Top-Ten Lists, and similar fanboy discussions. Shake it, don't stir it, and stop by for a look at our favorite hero. Everybody loves celebrities, and my Legends page gives short background profiles with lots of pictures of some of the true legends of current times. Much as I would like to devote every page to legends of the past like Kirk Douglas and John Wayne, I try to focus on legends who are a little more fashionable in this current day and age - but sometimes I still can't help myself and sneak in a page on Grace Kelly or Carole Lombard. Just a warning, my idea of contemporary legends may not be exactly the same as yours, so, hopefully, you like pages about icons like Agnetha Faltskog and Kate Beckinsale. Anyhoo, the site is intended as a fun place which runs through the basics of each legend, shows some pictures that I find interesting, and occasionally touches on the bane of all such sites... trivia. In other words, my Legends page is intended as nothing but a guilty pleasure. Enjoy! Lots of information about Paul McCartney, including information about his songs and career. Random Musings is my personal, fairly random site. I post whatever I happen to find informative, funny, topical or just plain odd. Here you will find corny sayings, life lessons, healthy foods, pictures of Earth from Space and a splash of Dr. Smith and the Gorn. "World War II in Pictures" is all about the Second World War. I take topics of interest and pound them into the ground until they are dead, dead, dead! Typical topics are "Tiger Tanks," "Panther Tanks: Best Tanks of their Time," "Pearl Harbor" and "D-Day: 6 June 1944." Naturally, as the title suggests, my analysis makes full use of the pictorial evidence, which has grown abundantly in recent years, with a running narrative to place things in context. "Word War II Daily" is a little more specialized than my other World War II site. It goes through the conflict day-by-day and summarizes the important things that happened each day. The site is a work in progress and is not complete yet, but I hope to cover every single day of the war before I am through. World War II Daily may be of interest primarily to history geeks like me, but World War II still affects us in many ways and everyone would benefit by understanding how it was fought, and why. Everybody likes the holiday, so we have a Holiday Site. Here you can find pages relating to the holidays - coloring pages, holiday greetings from celebrities, maybe even a gift idea or two! Victoria's Secret Models is a collection of bios and pictures of hundreds of the Victoria's Secret Models down through the years. From Geena Davis to Cara Delevingne and everyone in between, all of the models are represented, or at least will be by the time I get it completed! Random Photos is a collection of random shots that I have taken around the world. This includes pictures from most European countries, Australia and New Zealand, Southeast Asia and, of course, the States. I put up whatever catches my fancy, for any or no particular reason. It's just, as the title says, random photos. This is my site about Atlantis. I wrote a novel with a theme about Atlantis, "Avram, Thief of Catland," and have a lot of information about Atlantis on there. In fact, we pinpoint the most likely place for Atlantis, and it's probably not where you think. However, once you read my article about it, you may agree that, yes, Atlantis is most likely there. The novel is about ... cats. Well, it's about a lot more than cats, but its central characters are all cats. But they're not really cats ... you have to read it to understand. I'm very excited about this project and hope you have a chance to pick up the novel. You may learn a bit more about it here. Then and Now - A comparison of streets and buildings photographed in the past to how they look now. Space - A look at NASA and space exploration. Scenes of Colorado - Photos of Colorado scenery. Visiting Colorado Springs - Taking a trip to Colorado Springs? Stop off here for a quick introduction. The Mad Hatter - Do you like Johnny Depp as the Mad Hatter? Tom Cruise Review - Let's look at this top film star. "One Direction" Review - A look at the band.